Boy am I glad Friday is here! The kids stayed home with me an extra day this week and it always seems to make us all a little off when our schedule changes! 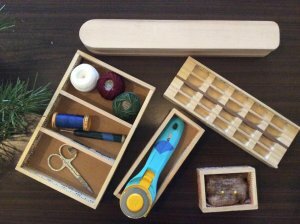 We've got so many exciting things happening around the shop, we better get to it! Anniversary Sale: Friday and Saturday December 7th & 8th - watch for more details! We promise you won't be disappointed! We are still collecting for our Annual Pantry Drive until Thursday December 6th! Bring in a sack of groceries and recieve 20% off your purchase! Thank you to those who have donated already! 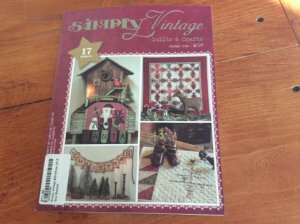 Winter 2018 Simply Vintage has arrived and it's flying off the shelf! This magazine is packed with recipes, patterns, woolies and more! Grab your copy today! 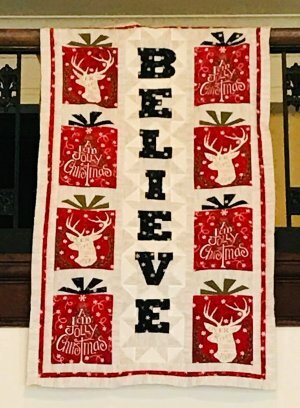 For those of you in the Christmas sewing spirit...check out the beautiful Believe banner. 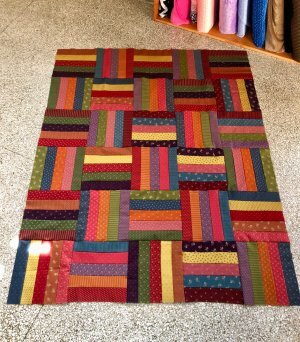 This flannel project would be perfect hung by the fireplace...and it's so simple with most of it coming from a panel! Or grab a panel and make some fun Christmas throw pillows! Join us December 7th & 8th for the Annual Tasting on the Bricks. Stop by participating businesses to sample Christmas treats and check out in store specials. At each stop receive a stamp on your card - once it's full drop it off at your last stop to be entered to win many awesome giveaways! Stamp cards are available at all participating stores! 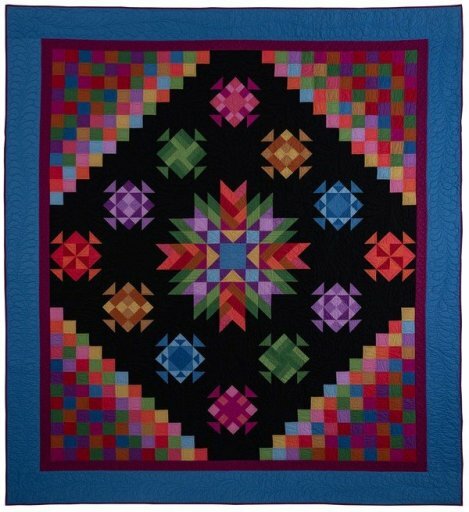 We've been busy sewing samples for NEW block of the months, classes and more for 2019! 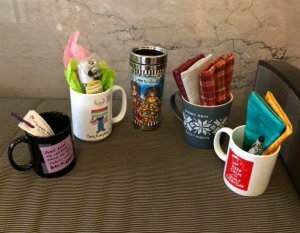 Watch for another email with details for those!